In April 2017, the Society launched its first-ever members only webinar to provide information regarding possible changes to the Affordable Care Act (ACA). This was the first in a series. 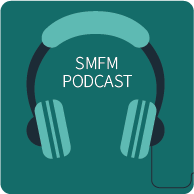 Recorded webinars can be viewed below and are exclusively available to SMFM members. Keep checking back for future topics. 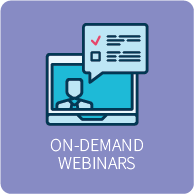 Click the webinars below to view them. The Alliance for Innovation on Maternal Health (AIM) is a national-data driven maternal safety and quality improvement initiative based on proven implementation approaches to improving maternal safety and outcomes in the U.S.
Any U.S. hospital in a participating AIM state or hospital system can join the community. AIM works through state teams and health systems to align national, state, and hospital level quality improvement efforts to improve overall maternal health outcomes. A collection of 10-13 best practices for improving safety in maternity care that have been vetted by experts in practice. January is Birth Defects Prevention month. 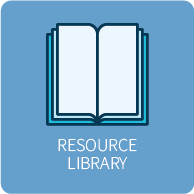 Learn more about research conducted with pregnant and postpartum woman via patient registries and a new crowdsourcing tool from NICHD, PregSource. This webinar is 30 minutes in length and features Drs. Christina Chambers and Caroline Signore, and is moderated by Dr. Sarah Obican. It is co-sponsored by the Organization of Teratology Information Specialists, the Teratology Society, and the Society for Maternal-Fetal Medicine and is the second in a two-part series. January is Birth Defects Prevention month. Learn more about research that is currently conducted with pregnant women and opportunities for future expansion in a 30 minute webinar with Drs. Bob Silver and Cathy Spong, which is moderated by Dr. Sarah Obican. This webinar is the first in a two-part series and is co-sponsored by the Organization of Teratology Information Specialists, the Teratology Society, and the Society for Maternal-Fetal Medicine. SMFM’s Patient Safety & Quality Committee (PSQC) Chair Dr. Christian Pettker and Vice Chair Dr. Andrew Combs discuss the work of the PSQC and how SMFM members can get involved. State Liaison Network is launching the annual August recess toolkit, including an update on maternal mortality legislation, discussion of the current environment surrounding Title X funding, and some best practices for advocating at the state level. Learn about SMFM's advocacy priorities.